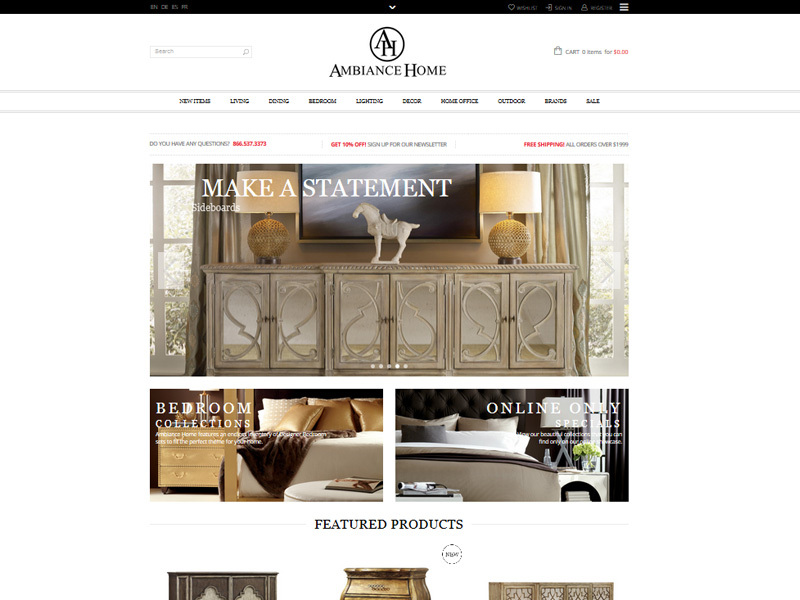 Ambiance Home has been the premier go to furniture location in the Orange County area for over 15 years specializing in high-end furniture, in a large 50,000 Sq. Ft. As successful and reputable as they have been, the majority of their sales came from on-site visits to their actual store. After speaking with the owner it was evident how much potential and value having an online store would yield for the business. After coming up with a solid strategy, it was expressed that an easy to use E-Commerce back-end would be a necessity for Ambiance staff to consistently update their website with their great products, new specials, promotions, and coupons. To meet these objectives WordPress with WooCommerce integration was decided on and developed for the client.